Riverdale fans have always known the lovely town’s south side was always a little bit worse for wear. We don’t know why, really, but it’s where Jughead, the Serpents, and drugs are from, so we’re left to assume it’s been bad news for a long time. 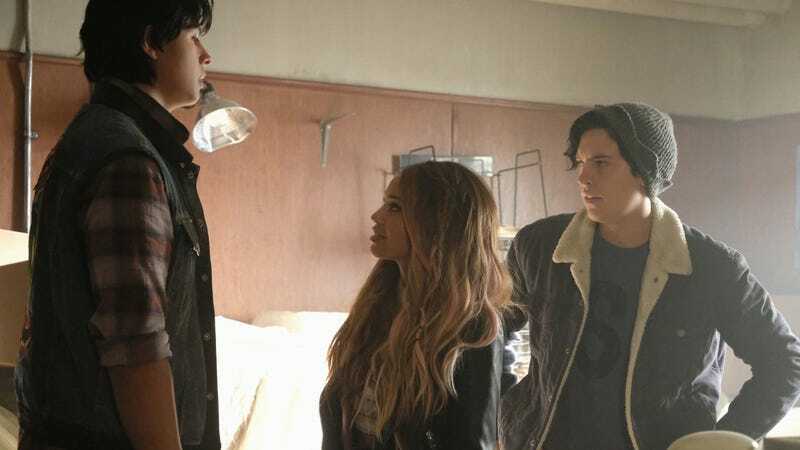 On last night’s episode of Riverdale, viewers got their first real look at the south side—previous glances at the Jones family trailer or the Whyte Wyrm don’t really count—and it’s as dire as Alice Cooper’s always suggested. Seriously, though: Why does that high school look like a set from Dangerous Minds? All of this and more is tackled in a new episode of Dial M For Maple, The A.V. Club’s newish Riverdale podcast. We’ve got thoughts on Kevin’s cruising, the questionable fates of Moose and Midge, and the very existence of Toni Topaz. If you’re a Riverdale fan, please give Dial M For Maple a chance. You can subscribe here, or even drop us a review over on Apple Podcasts.